AC Hotel Madison, the first Marriott brand property downtown, will open its 165-room hotel in spring 2017. The hotel design blends European soul with a Midwestern mindset, and includes amenities such as flexible meeting space, a rooftop bar and restaurant, and skyline views, too! The Holiday Inn Express & Suites—Madison East will also be opening its doors in 2017. This 106-room hotel is near East Towne Mall and a short drive from the Sun Prairie community, and offers an indoor pool, free Wi-Fi and free underground parking. The Best Western Premier Park Hotel on Madison’s capitol square recently completed renovations which include the entire exterior facade, sleeping rooms and the 9th floor meeting room, famous for its stunning views of downtown Madison. Madison, Wisconsin consistently ranks as a top community in which to live, work and play. But we’re also mentioned often in publications as a premier meeting and convention destination. Read on to discover which lists we’ve recently topped—and what it means for meeting attendees. And, we cannot help but give a shout-out to GMCVB board member and friend, Janet Sperstad, CMP. Janet is the program director for the Meeting & Event Planning Management degree program at Madison College and was recently recognized as one of the 25 Most Influential People in the Meetings Industry by Successful Meetings. Congratulations, Janet! Read all rankings about Madison, Wisconsin. 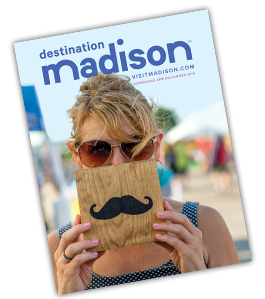 Madison, Wisconsin may be a mid-sized city, but we made a big impact at trade shows this summer! Read on to learn more about where we were—and where you can connect with us in 2017. In August, Wisconsin was well-represented at Connect Marketplace in Grapevine, TX. 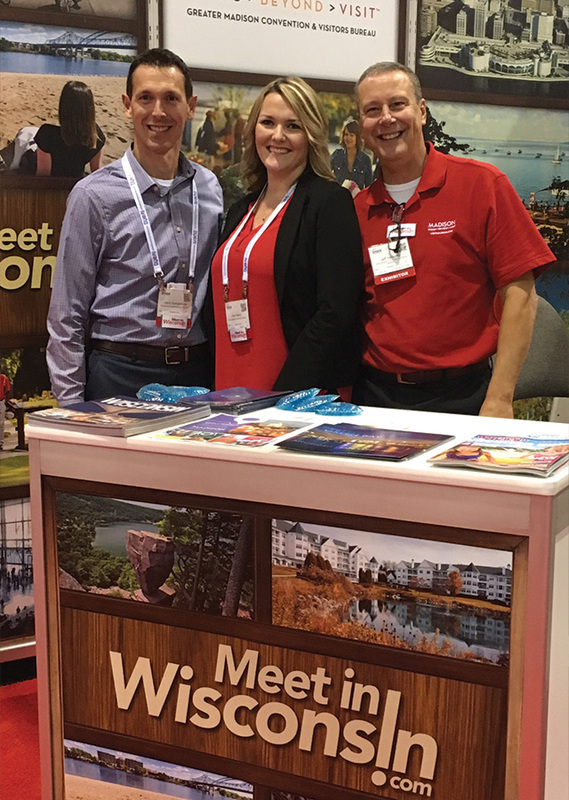 The Wisconsin Department of Tourism—plus eight Wisconsin destinations and hotels—connected with associations, specialty organizations and sports planners at more than 550 appointments. 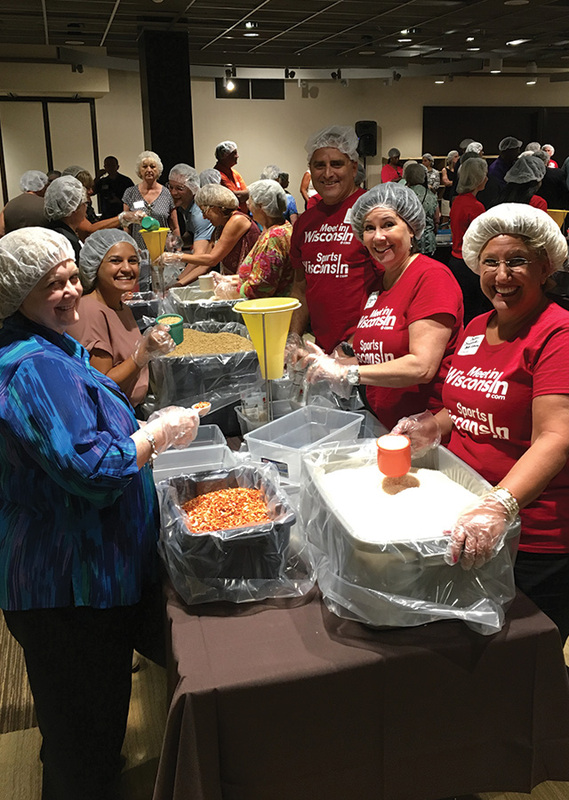 While we were there, we took part in a Corporate Social Responsibility activity, working alongside event planners to assemble 10,000 meals for counties in need. Of course, we couldn’t leave without a parting gift: brilliant red grilling mitts, themed to fit our passion for tailgating and sports! We also joined the Wisconsin Department of Tourism at IMEX, America’s largest convention tradeshow expo in Las Vegas, NV. At this show, we worked to share our state’s excellent meeting and convention destinations and facilities. If you’re thinking about bringing your next meeting to Madison and have additional questions about dates and rates, don’t hesitate to reach out! Contact us at services@visitmadison.com.